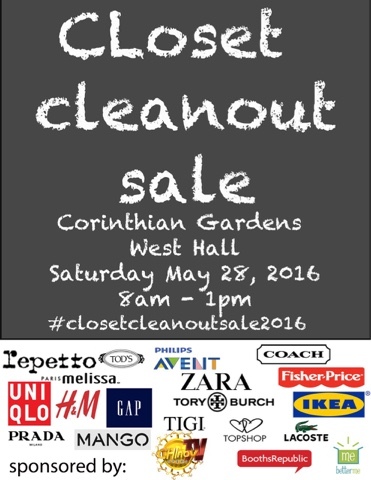 Come and visit the #ClosetCleanoutSale2016 happening this Saturday - May 28, 2016 at the West Hall of the Corinthian Garden Clubhouse. Entrance is FREE!! Just mention to the guard that you are going to the garage sale at the Clubhouse! Gates will open at 8am till 1pm.